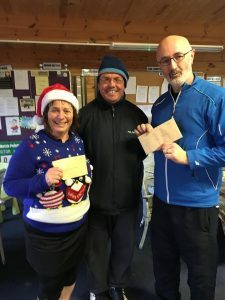 About Ratoath Tennis Club - Fantastic, friendly and fun! Ratoath Tennis Club provides a social, healthy, fun and safe environment for people of all ages and abilities to keep fit. You can enjoy being active and play tennis on a low impact comfort surface. If you’ve got a more competitive streak we have plenty of league and in-house championship action to keep you on your toes whatever level you play at. Our social tennis night is a good way to get to know fellow members – just show up and give it a go. Check out our website and our Facebook page for details. Ratoath Tennis Club was founded in 2007 at a meeting held in St. Oliver’s Community Centre, Main Street, Ratoath, Co. Meath. The founding members of the club had been members of other tennis clubs and felt Ratoath should have its own club. A plot of land close to the village was made available by the Community Centre and Ratoath Tennis Club secured a loan and signed it’s first lease. 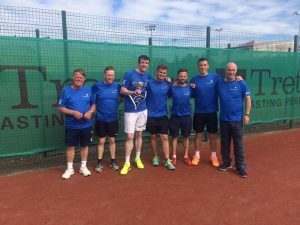 Once planning permission had been granted for 5 courts, lights, railings and a small club house, the founding members started fundraising within the local Ratoath community and applying for any and all available state and sport grants. The initial cost to develop the land for tennis court use was going to be expensive, as it had been agreed from the outset that Ratoath Tennis Club should have the same court surface as the top tennis clubs in Dublin. The benefit of these ‘Savannah’ courts is their low maintenance, their all-weather playability and knee friendly comfort. Lights and surrounding railings with security gates were soon added to help protect the surfaces from damage. In 2010 after another fundraising drive by members, the characteristic log cabin type club house you see now was erected. It houses a main room for all club activities and events, a small but well stocked kitchen, a store room, a male and female changing room, both with their own toilet and shower and an outside toilet for use by the other club members. A porch to the front of the clubhouse acts as a viewing gallery during competitions, as a shelter while the showers pass and as a place for parents to watch their children during coaching lessons or junior tournaments. Ratoath Tennis Club currently has one of the lowest family memberships of any club in the Dublin Lawn Tennis Council. Lower than most sports clubs in the local vicinity and definitely value for money as our courts can be used all year round from 8am till 10pm and with the benefit of individual court lighting. In 2015, a renewed attempt to secure a sports grant and funding from sponsors along with a highly successful series of fundraising fashion shows made the completion of a 5th court a reality. This much needed addition to the club meant that Ratoath Tennis Club could now host it’s own Junior Open competitions. It also meant that the club was able to run league matches all at the same time. Unfortunately, this exciting milestone was tinged with the sad news that one of the clubs founding members Olive McCann had passed away. In honour of her commitment to the club, the club committee dedicated the new court in her name. They also set up the Olive McCann Award where members vote every year for the person they think has shown great dedication to the club. Tennis is truly a game for life, it can be played and enjoyed at all levels and at all ages. The Dublin Lawn Tennis Council (DLTC)run regular leagues for over-35, over-45, over-55 and yes you guessed it, over-65’s. We now also have a healthy and growing junior membership. Kids from the age of 4 up to 18 can avail of our Junior Coaching Programmes run by our coaches from beginners to Advanced players. The club also have a ball machine which can be hired out by members on an hourly basis.